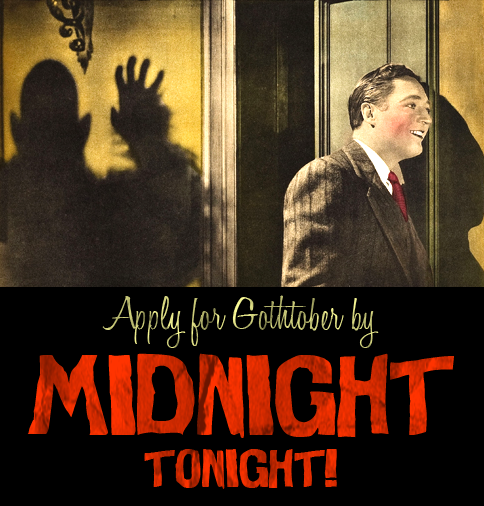 Gothtober Applications DUE AT MIDNIGHT! Become part of an elite Halloween force for ART! Acquire worldwide fame! Receive rare collectible premiums! Attend the very special Gothtober Launch Party (Sept. 28th) AND the Gothtober Halloween Party (October 26th) just for YOU! Apply now and recieveth our garish goulish gratitude! Need to know more info before you fill out the Application? 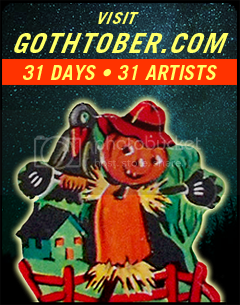 The Great Gothtober 2013 Call for Artists! Gothtober Has Ordered its Trick or Treat for Unicef Boxes!